Home News New Samidoun chapter launches in Gothenburg, Sweden! Formed as Frihet at Ahed Tamimi (Freedom for Ahed Tamimi), the group decided to continue organizing with their focus on the freedom of all Palestinian prisoners as an essential aspect of the struggle for a free and liberated Palestine. Samidoun Göteborg will be hosting a public event on 15 September as part of the Radikal Bokmässa 2018. Writer and activist Torkil Lauesen and Samidoun international coordinator Charlotte Kates will discuss imperialism and international solidarity. Samidoun now has chapters and organizers in the United States (with a very active New York group), Sweden, Canada, Greece, France, Britain, Germany, Belgium, Lebanon and Palestine. We are thrilled to welcome our comrades in Gothenburg and we look forward to struggling together for liberation and return! Samidoun welcomes new chapters and organizers around the world. If you are interested in forming a Samidoun chapter, or if your organization is interested in becoming officially part of the Samidoun network, please contact us at samidoun@samidoun.net. Free Palestine! Freedom for all Palestinian prisoners! After a short break following the release of Ahed Tamimi, we can now reveal that the Frihet at Ahed Tamimi initiative in Gothenburg is becoming a local affiliate of Samidoun: Palestinian Prisoner Solidarity Network, Samidoun Göteborg. 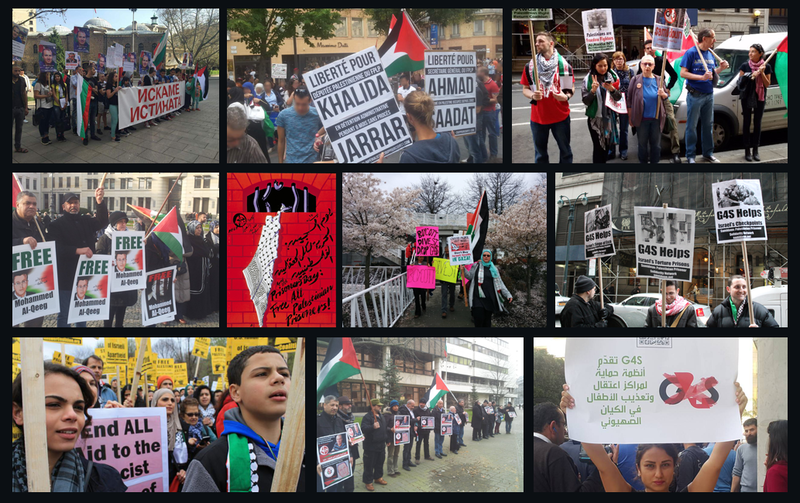 We will continue our work to support Palestinian liberation with a focus on Palestinian political prisoners and we will continue to work for boundless solidarity with the oppressed and exploited, through letter writing, public events and other activities. Ahed Tamimi herself was released only from official imprisonment; she was returned to a life under occupation, and Ahed calls on us in her own words to continue the struggle for all Palestinian prisoners’ freedom as a critically important part of the fight for a free Palestine. Keep following us here, spread our page and invite your friends, and organize for the liberation of Palestine! Freedom for all Palestinian prisoners!